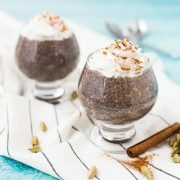 The flavors of Chai in a chia seed pudding recipe….chai chia! Say that 10 times fast! 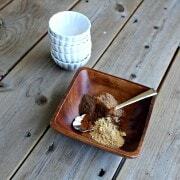 Or just make this flavorful, healthy, sweet treat. I get together once a month with a group of friends for a cooking group. Really, when things boil down, it’s a fun excuse for a kid-free mom’s night out. And it was my scheme to make friends when we moved (it worked!). Each month, someone in the group hosts at their house and chooses the theme. Everyone attending that month brings a dish that fits the theme. We eased in in December with an appetizers and desserts themed night. Perfect for getting ideas for all the holiday parties we’d be attending, and nothing too intimidating in terms of cooking. January had a healthy theme, of course! We had soup, salad, and a healthy dessert of baked pears with yogurt and walnuts. February’s host wanted to make use of the Instant Pots so many had gotten around Christmas time. This time we did all the cooking together since the Instant Pot is so quick (we had four of them!). It was so much fun getting in the kitchen with our aprons on and actually doing the cooking together. It was also the first time using a pressure cooker for most of us so it was certainly a bonding experience which involved an undercooked chicken, a stuck lid, a store bought cheesecake (which was actually amazing), a propped up cell phone in the microwave for a photo, and a lot of laughing. A lot of laughing. We were chatting about chia seeds during our January dinner. Our topics of conversation must always be tied into the theme. Just kidding, this is all coincidence, there are really no rules when it comes to cooking club. One friend asked what the difference was between chia and chai. It’s very confusing, that i and a. I’ll probably type it wrong at least three times in this post. When she first asked about it, I joked that I should develop a chai chia pudding. Chai chia! Chai Chia! And then I did. 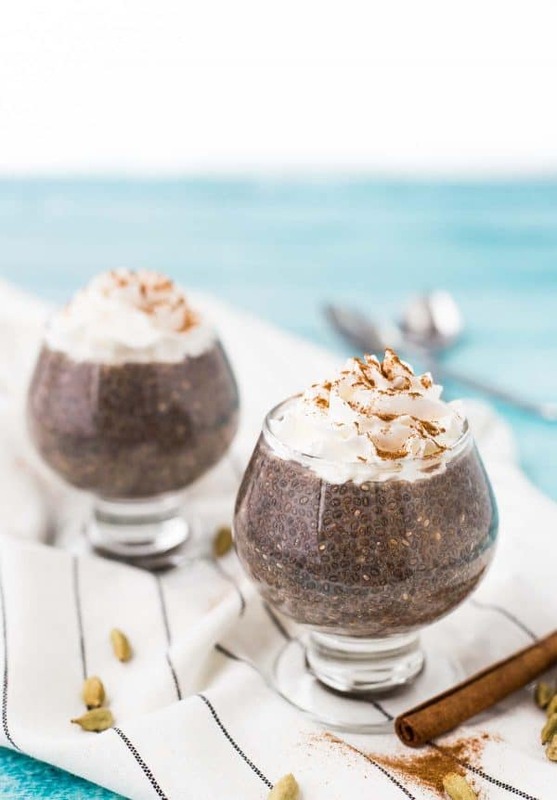 This Chai Spiced Chia Seed Pudding recipe is just as easy to make as my chocolate chia pudding recipe and maple cinnamon chia pudding recipe are. All it involves is stirring all the ingredients together in a bowl and letting them sit overnight. A couple additional stirs help the chia seed pudding thicken up and prevents it from clumping, but we’re talking less than five minutes hands-on time. 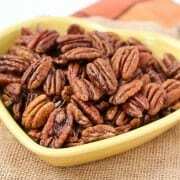 It’s a great treat that will satisfy that need for something sweet! 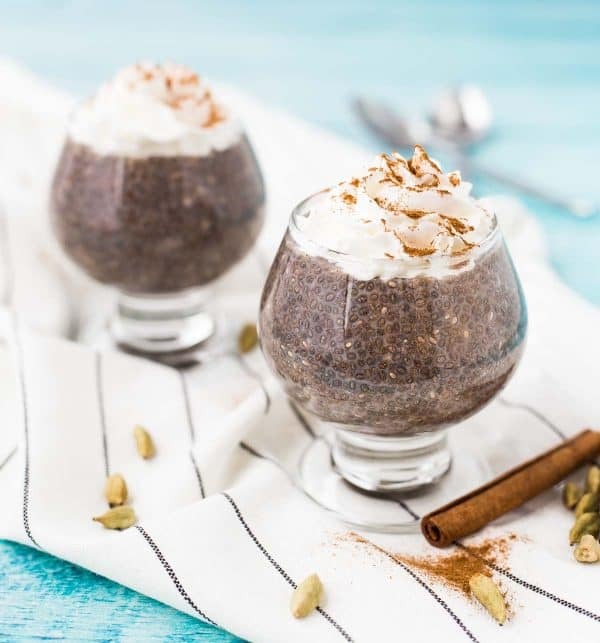 The flavors of Chai in a chia seed pudding recipe….chai chia! Say that 10 times fast! 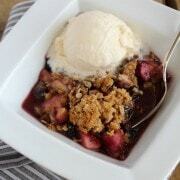 Or just make this flavorful, healthy, sweet treat. Get the easy recipe on RachelCooks.com! Mix all ingredients except whipped cream in a large mixing bowl, whisk until combined. Let sit for 10 minutes, stir again. Cover with plastic wrap and refrigerate overnight before serving, stirring 1-2 times. Verdict: I loved the bold and warm spices in this chia seed pudding recipe. It’s one of my favorite varieties so far. Husband’s take: As you all know, Ben is a traditionalist. I won’t lie to you — there was a lot going on in this chia pudding for him. I think he classified it as “strong.” My mom, who has a more adventurous palate, loved this.